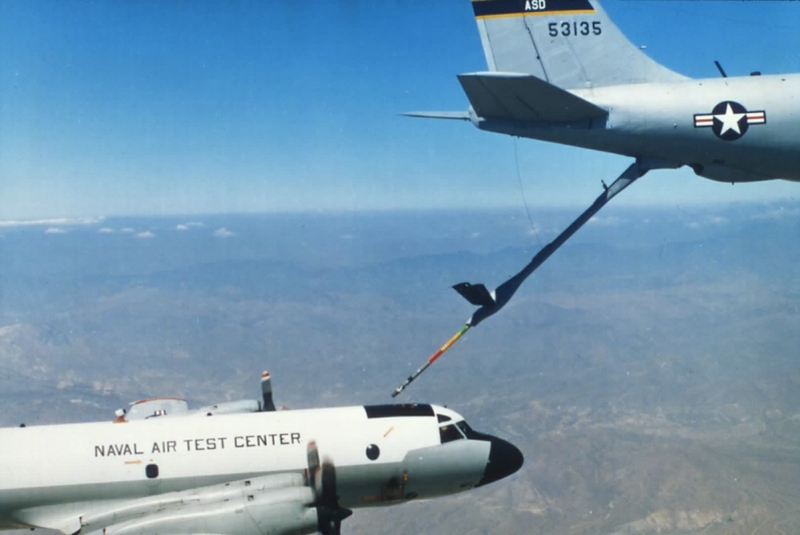 It was a proof of concept during the early 80’s following the intrudcution of the harpoon ASM into the P-3 aresnal. It was in limited distrubution and a means to deploy it world-wide was desired. This photo is as far as it ever went. Those of us life-long P-3 flyers are VERY glad this is as far as it went! I was in VP 23 with the pilot of the P3 in the picture. I do not remember his full name. He was known as Rocky. He was jokingly threatened woth bodily harm for even suggesting inflight refueling of the P3 which was already able to fly 13+ hour missions.. 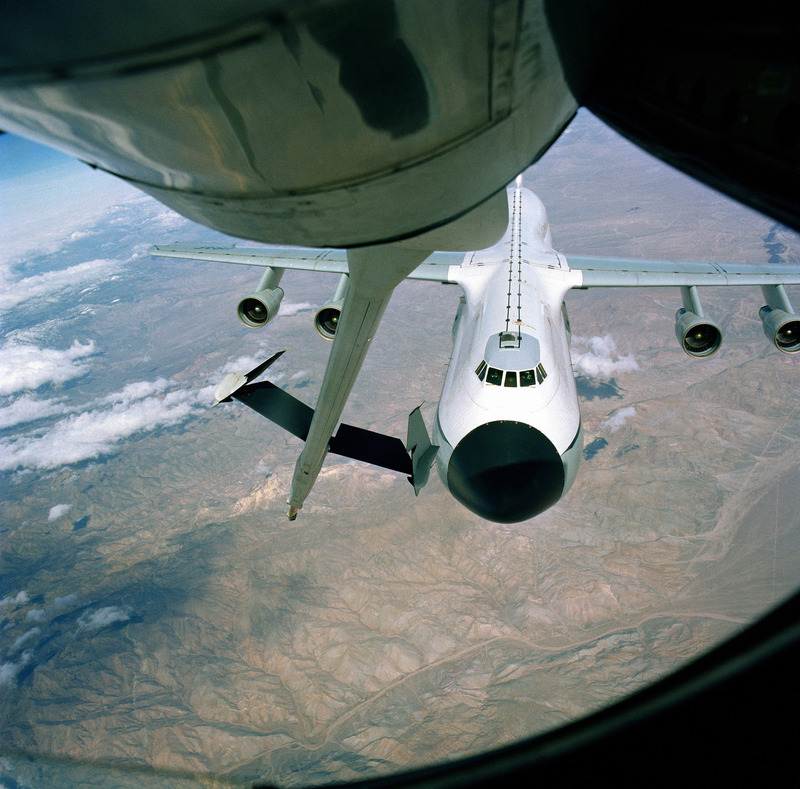 I was a radar operator on P3 but had been boomer on KC-135 in Air National Guard. Having flown half skins as an ASW-advisory AG on P-3 missions with VP-30 and fleet squadrons at Pax River, concur fully that refueling would have made for a REALLY long day, but also recall the incredible endurance of our then-companion Canadian Argus’s, one of which held the then-record UNrefueled endurance record of 31 hrs!